Click Eventbrite link above to register! Ever wanted to learn the difference between an infusion and a decoction? Would you like to learn how to make your own infused oils and ointments? Are you interested in making your own medicine from plants and food? We are surrounded by an abundance of healing potential that is easily accessible with the right knowledge. 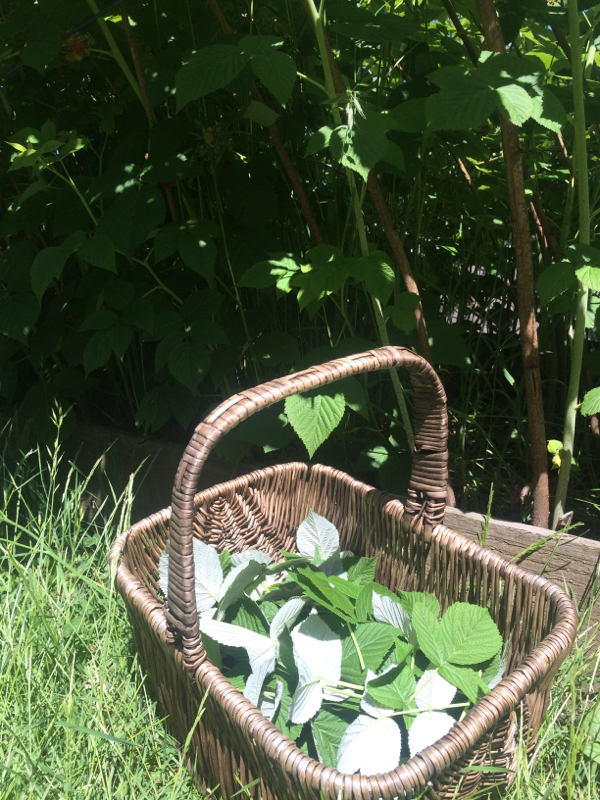 Join Katrina for a 7 month class series on the basics of plant medicine. We will meet once a month from November to May in Katrina's kitchen to learn about common healing plants and foods, focusing on a different system of the body each month and at least 2 common plants that support that system. We will also be making the medicine right there, practicing multiple techniques, such as: teas, infusions, decoctions, infused oils, salves, syrups, tinctures, formularies, herbal bitters, and more! You will receive printed monographs for each herb topic, and will get to take home plant medicine that you make in class. Each session is $30 and includes all materials and supplies. Classes are stand-alone, so you can pick and choose which ones you want to attend. Class size is limited to 10 people per session, so don't wait to register. Classes are held in SE Portland. Exact address will be sent via email once registration is confirmed. Due to the need to order supplies in advance, refunds will only be available up to 30 days before a class date. I&apos;m In the kitchen, mixing up the medicine. Are you on the pavement, thinking about the government...? Hot toddy made with elderberry syrup, fresh lemon, and a cinnamon stick. Yes, please! ​I journeyed out into the woods yesterday, and what did I find? My favorite elderberry tree was laden with berries, so much so that some of the branches were performing yogic backbends. As always, I asked permission of the elder tree to harvest some of the berries, and made my offerings afterward. This tree grows on a beautiful gently sloping hill, with an awe-inspiring view of forests, rivers, and valleys. Spending time sitting under the tree, I had an opportunity to dream up visions of the future. And the future is looking bright! Check out my limited edition Elixirs and Things.... Perfect timing before your first flu of the season! Red clover growing amongst the fennel and raspberry canes. 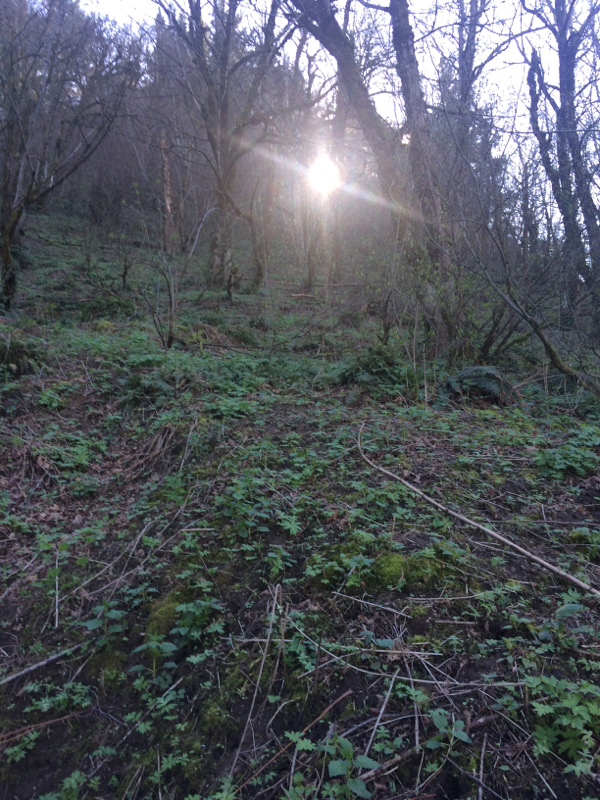 This has been a very warm, dry Spring, and Beltane came early this year in Portland. 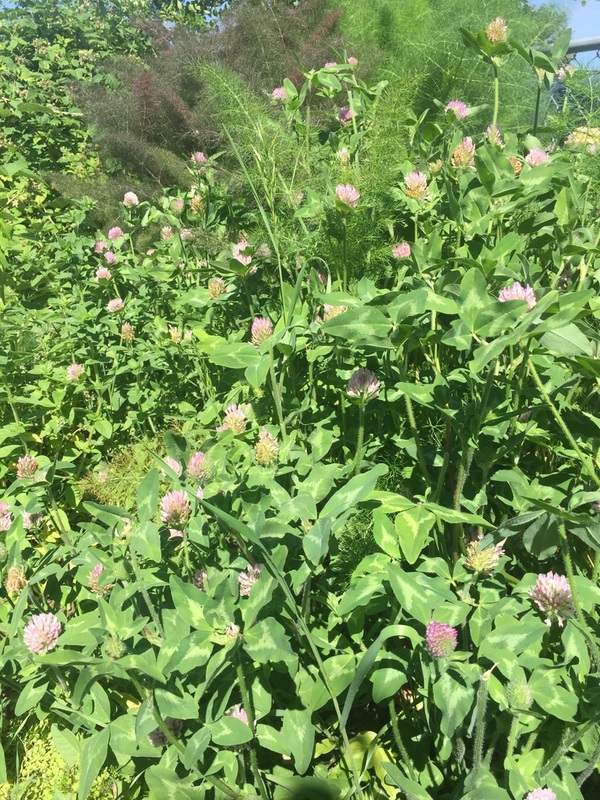 In my garden, the red clover has taken over, and I couldn't be happier! 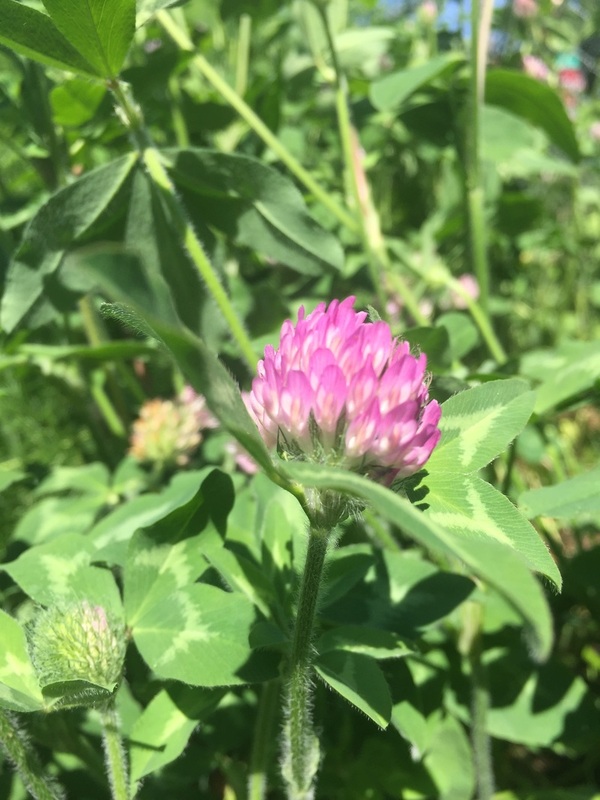 Red clover (Trifolium pratense) is a mild, slightly sweet-tasting flower that has immunoprotectant and anti-tumor properties. It's also a safe tea to give to little ones suffering from bronchial infections. You can find these blossoms nestled in my Women's Support Tea. 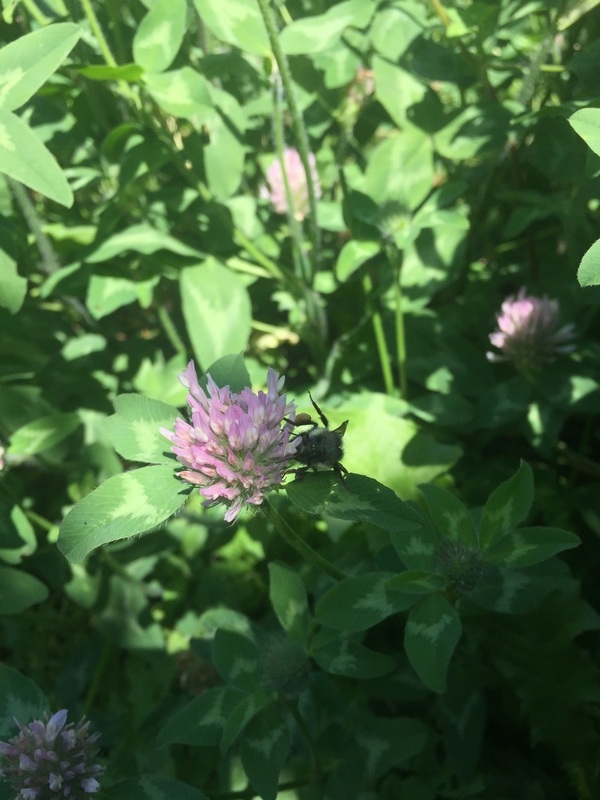 A honey bee delights in Red Clover's sweet nectar. The labia-like pea family flowers tells us this plant is likely a good match for female health. How glorious it is to live in such a fantastical place. Walking through the forest is so cleansing. 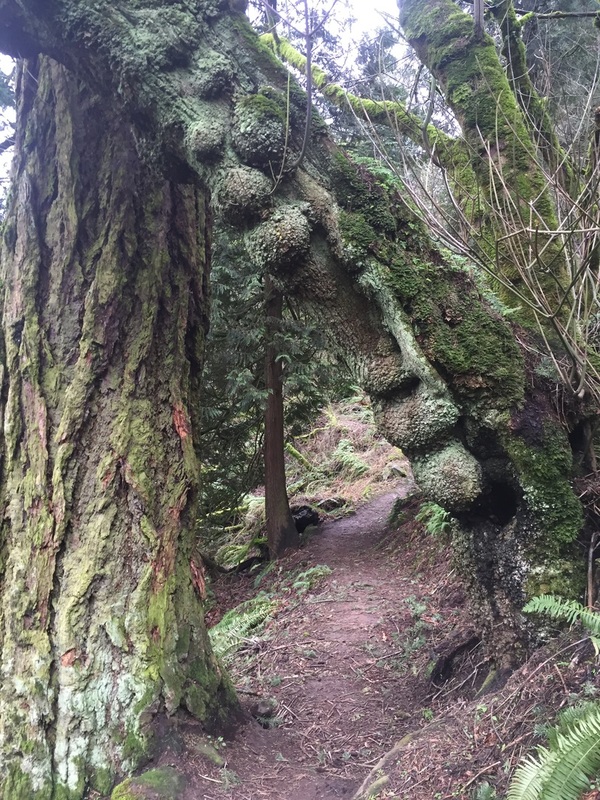 The scents of the cottonwood trees, the cedars, the bubbling waterfalls fill the air and renew the spirit. THIS is the heart and home of the medicine I make for you. THIS is the heart and home of me, your Village Apothecary. Ostara blessings to you all! 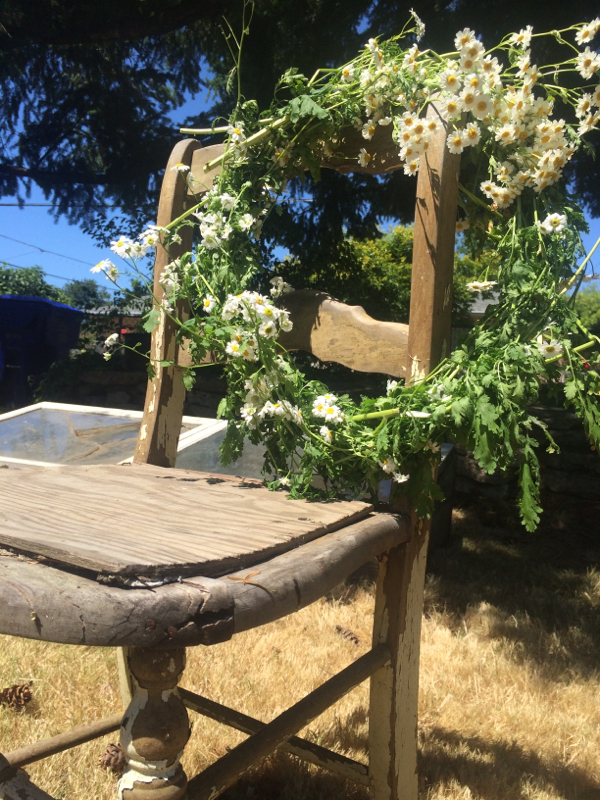 Get outside and revere the beauty that surrounds you. Although I am no fan of St. Patrick, since I am part Irish snake myself, I do enjoy making and wearing green things from nature today. 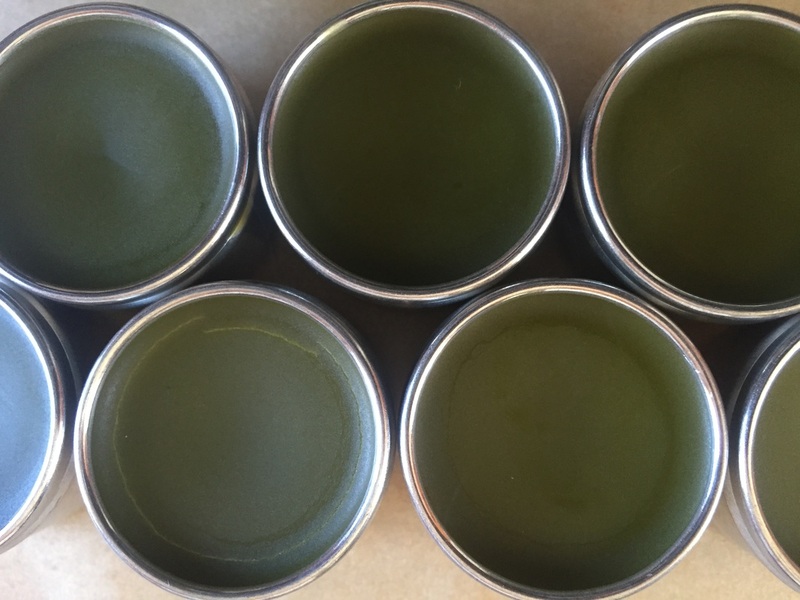 Just finished a fresh batch of Savvy Salve: Super Skin Healer. The whole house smells of Willamette Valley peppermint. You can order some here. Got a headache? 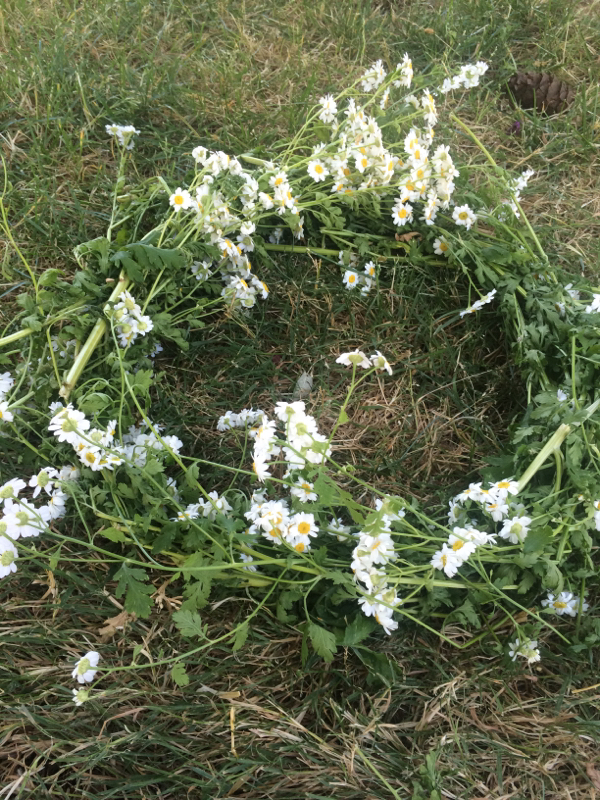 Make a feverfew wreath! Sitting outside, working with your hands, deep breathing with the summer breeze... Very therapeutic. 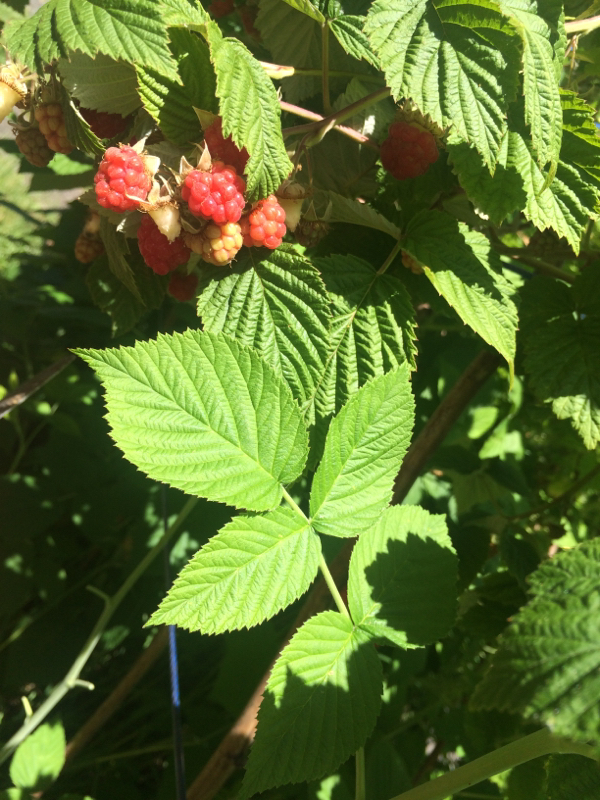 Here in Portland, raspberries are ripening a month early. And the leaves on the new canes are big and vibrantly green. These are the leaves that you&apos;ll find in Women&apos;s Support and MilkEaze teas. 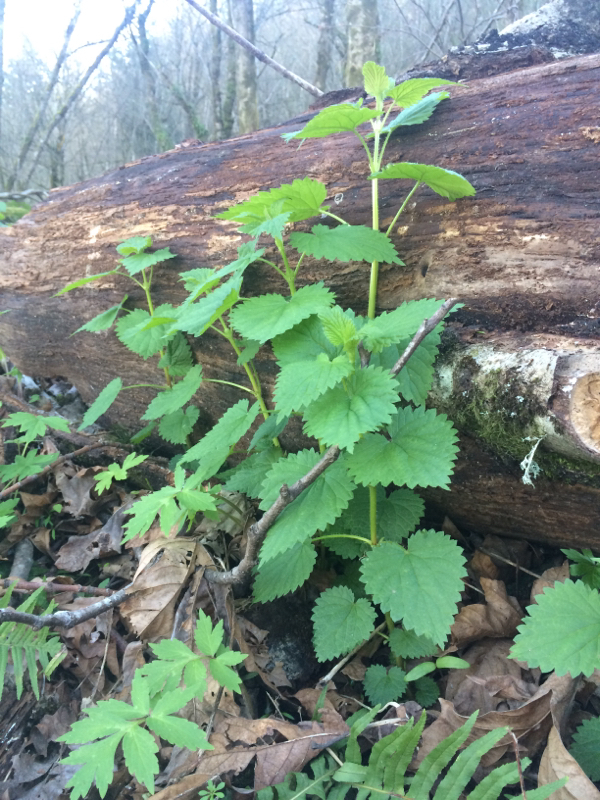 I can&apos;t believe how early the nettles are leafing out. It&apos;s mid-February and they&apos;re already 1-2 ft high. They don&apos;t usually reach this height until late March. 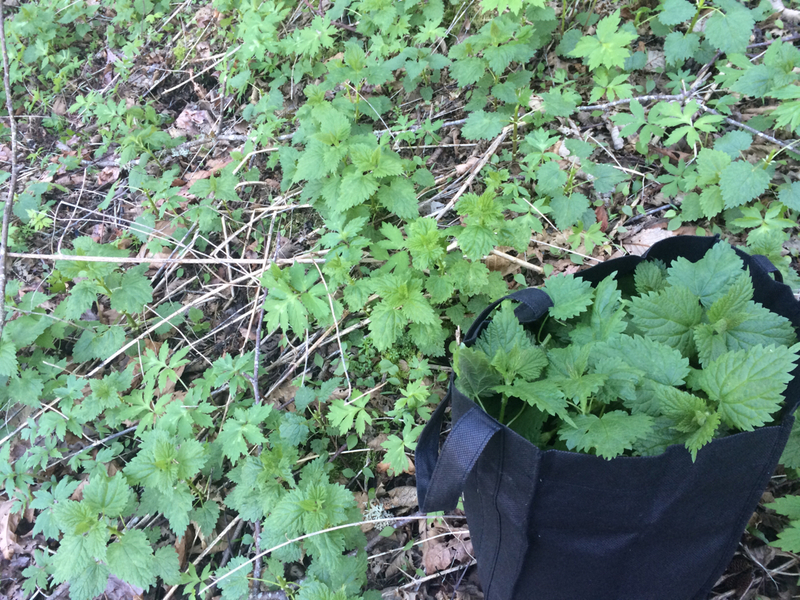 You can find these beautiful, green, wild, nutrient filled nettles in both of my herbal teas: Women&apos;s Support Tea and MilkEaze Tea. Visit my store to purchase!